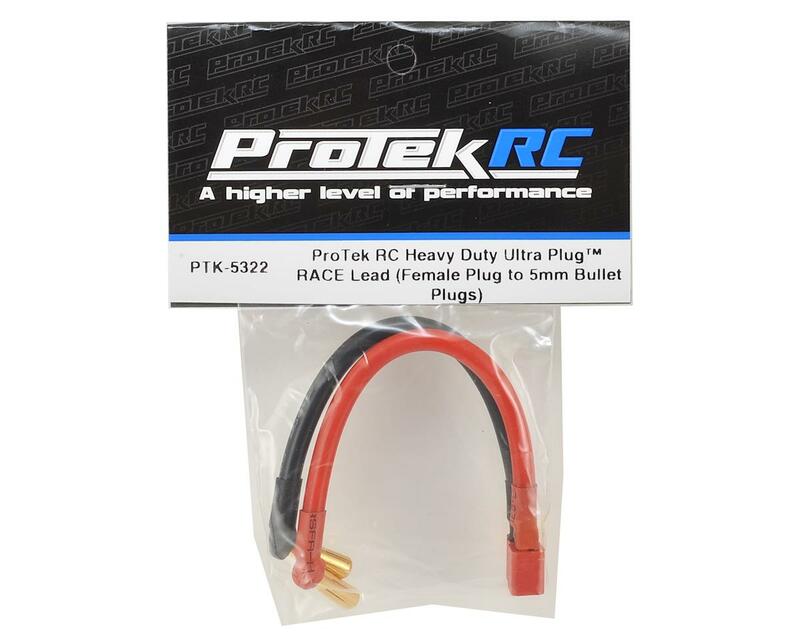 This is a ProTek R/C Heavy Duty Ultra Plug™ RACE Lead, with a genuine Female Ultra Plug™ to 5mm Bullet Plugs. Use this lead to connect any battery with 5mm sockets to an ESC with a Deans plug. 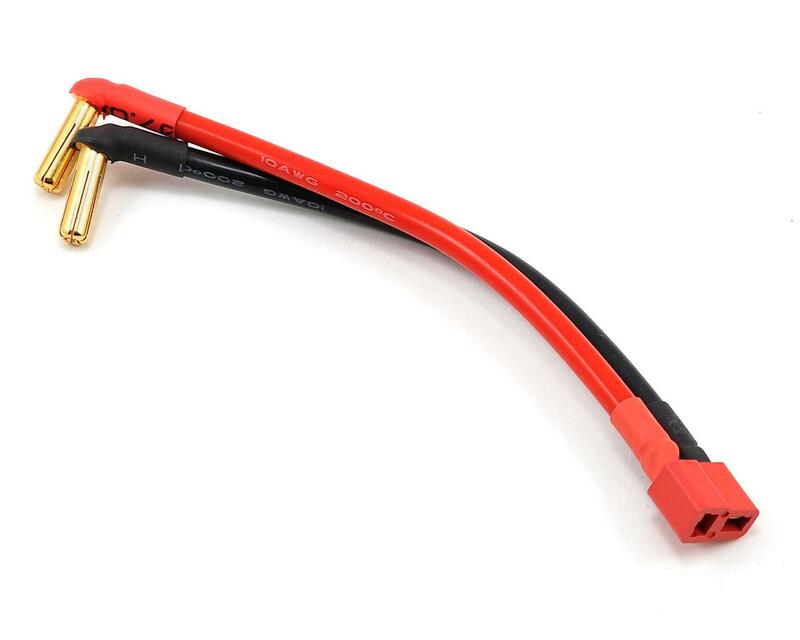 Using a genuine Deans Ultra Plug™, ProTek R/C 5.0mm "Super Bullet" Solid Gold Connectors and 10awg wire, this pre-built lead will provide you with a low resistance connection for any 2S race and bashing application.